Bright lights are visible up to a half mile away. 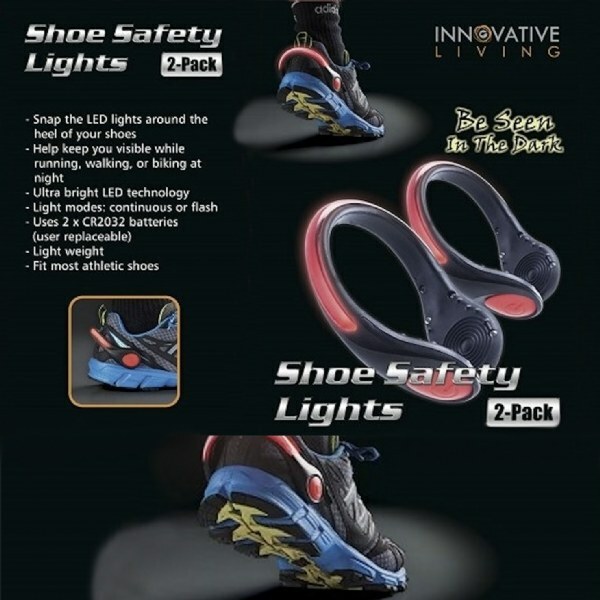 LED Shoe Heel Light for Night Safety is ushering the new age of nighttime fitness. Feel the breeze in your hair and let your worries go because with Flashing Shoe Heel Lights, no one can miss you. Go for the cooling, calming night run tonight. For all outdoor activities - running, jogging, cycling, walking, horse riding, etc.